Keeping people who support mission critical programs like the Space Program happy is extremely important. So how do you make a building full of scientists, techs and medical personnel happy? With ice cream! 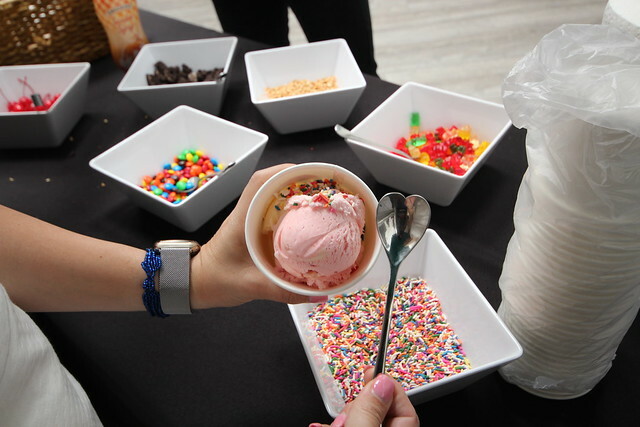 We recently hosted a Clear Lake office tenant, KBR Wyle, at 2400 NASA Parkway, to an ice cream social with Southern Ice Cream carts scooping and topping sundaes with a smile. A small team from Boxer Property converged on this single tenant office building in Clear Lake with one mission in mind; to make this team happy. The Boxer team walked into the recently renovated reception area and received their visitor badges. As we were escorted into the sunny, main lobby, we could hear the buzz of employees ready for a few scoops of tasty ice cream. Everyone watched on the big screen as a team of astronauts returned to the International Space Station after that day’s spacewalk. Seeing the live feed and watching the activities in space has the nubes in awe, but it was all common place to the employees of KBR Wyle, they see it every day, as they focus on the wellbeing of the people in the Space Program. The Property Manager, Serena Roberson, makes everyone feel at home and greets them with a hug and a smile. She has made sure everyone knows her and feels comfortable bringing any issues to her attention. 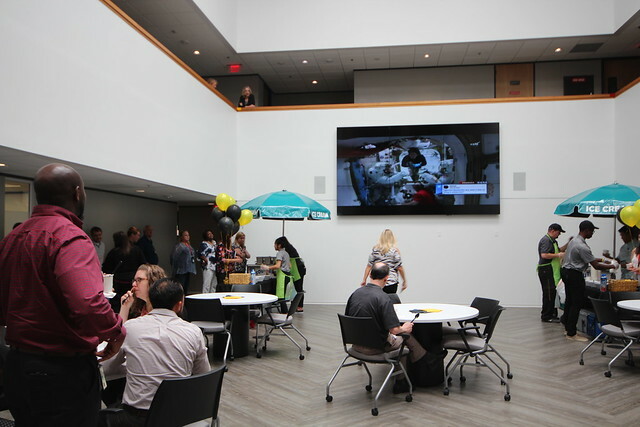 The property staff are happy to mix and mingle with the employees in the building, and we even see several executives come down for a quick scoop and get some socializing in. 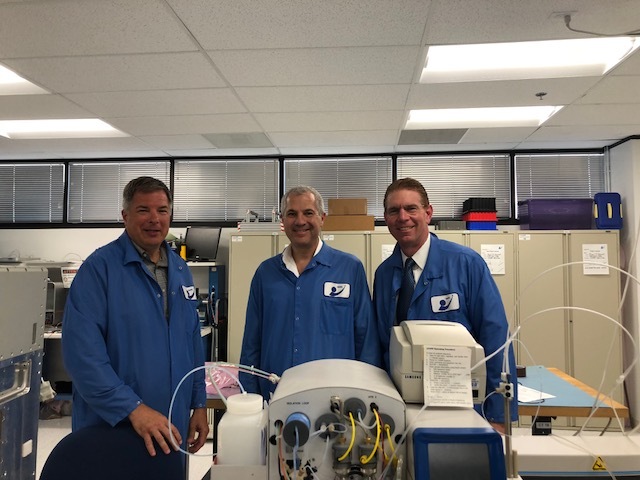 Boxer’s CEO and Director of Operation are quick to jump at the chance to dawn lab coats and take a tour of the lab and see the interesting projects KBR Wyle is focusing on daily. Looking for an office near NASA? Check out the sister property to KBR Wyle at 2450 NASA Parkway or our other Clear Lake office space properties.